Such a scary road we are on, but I know God is faithful and he is walking with us– all any of us can do is offer up our prayers and trust in a mighty God that can do amazing things. Prayer: For Finley’s lungs to grow/develop as much as possible, for her growth to get back on track if that is an issue, that she will stabilize quickly after birth, that they are able to do the surgery 3-5 days after birth and that she recovers quickly. For me to be able to trust in God’s goodness, his steadfast love, and his sovereignty in times when I begin to worry and fear. 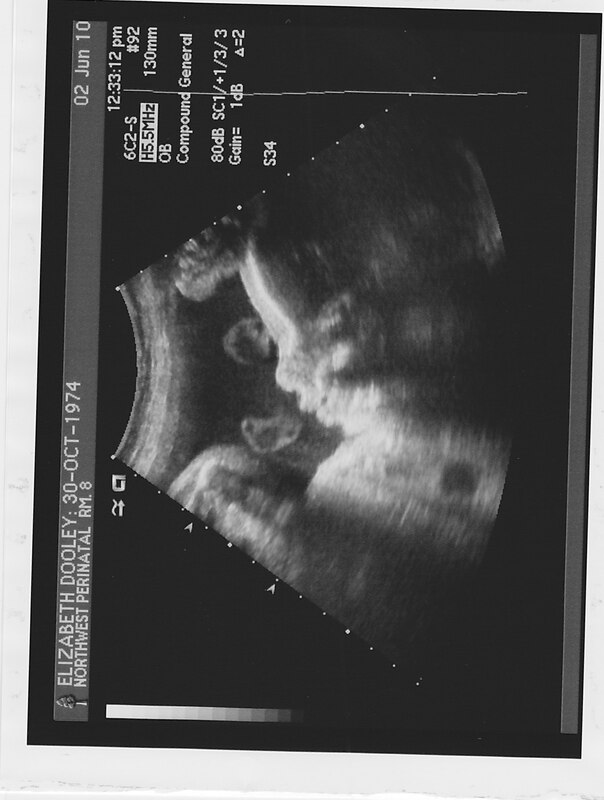 Author lizdooleyPosted on June 29, 2010 Categories cdh, ultrasounds3 Comments on 33 weeks…..
Our countdown is now into single digits.. scary! 9 weeks to go (less if I go early)…. We had an eventful weekend of food poisoning for Jon and I…. First I got it on Friday and after being sick all day long ended up having to go into the hospital Friday night to get re-hydrated. They kept me over night to be safe and by morning I felt much better. Jon came down with it on Sunday but thankfully Rowan didn’t get it since she is on a strict diet of alphabet soup, turkey sandwiches, and mac-and-cheese. I guess there are benefits to being a picky 2-year-old. On Monday we met Dr Cheldelin from NW Newborns for our NICU tour before the normal Emanuel Maternity tour. They have this wall of photos of NICU babies that have survived and it is amazing what they can do there. I feel really good about Finley being in good hands but it is still so crazy that this is our reality. I kept it together pretty good during that tour, but had to leave the normal maternity tour early because it was getting just to hard to hear about the “normal” delivery experience that I am not going to get. I am happy that I have the time to prepare myself mentally for what is coming – but somehow I know that no amount of preparation will truly get me ready for what lies ahead. And that is when I pray – because I know the only way I will be able to get through any of this is with God’s help. He has already gotten us this far – when I think of all the answered prayer so far, I feel comforted that he is with us in this and he will be with us in the those days ahead. Today was another ultrasound and appointment with Dr Lee and everything is still looking the same, which is good. Finley did all the things they were looking for including the “practice breathing” and movements. She is head down and super active. The last 2 appointments she has had the hiccups. Next appointment is in 2 weeks, but Dr Lee was reasonably confident that since we haven’t had any fluid issues yet, we probably won’t. But as any good medical professional, he doesn’t rule out the possibility and hence the frequent ultrasounds. A way to help CHERUBS win some money to help families affected by CDH…. If CHERUBS stays #1 in the division they win $30,000! If they can move up 1 place from 2nd place and win the contest, they can win $100,000!!!! This Phase of the contest ends on June 12th. At 2nd place overall right now and 1st place in their district, they are guaranteed to make it to Phase II where the real competition begins! 4. Scroll down and find CHERUBS and endorse them! You can vote once EVERY day! Please vote and repost! Author lizdooleyPosted on June 7, 2010 Categories cdh, CHERUBS, contest2 Comments on A way to help CHERUBS win some money to help families affected by CDH…. 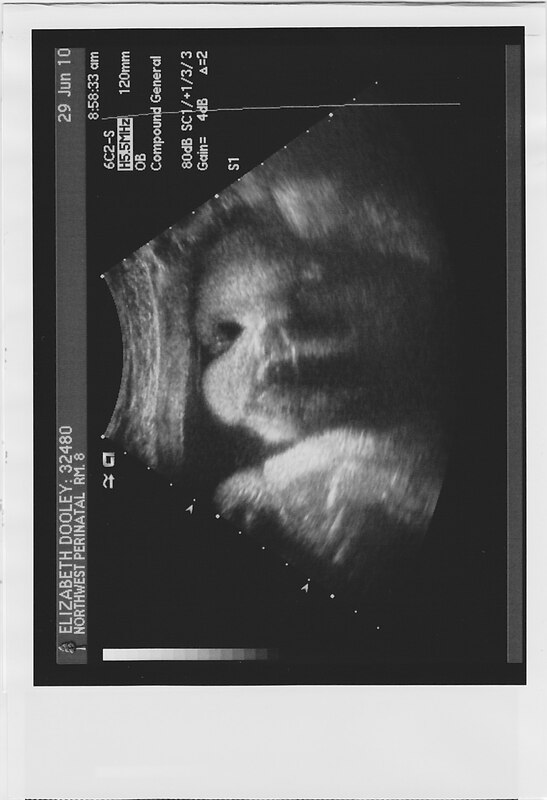 So pretty good news from the ultrasound. Or rather, I’m taking no bad news as good news! Things are still looking the same – no hydrops and amniotic fluid levels are normal. Right lung is visible and if I heard him correctly about 50% growth (compared to a normal baby at this time). The LHR which “doesn’t matter” is still in the 1.2-1.34 range. The left lung is anybody’s guess since they can’t distinguish between bowel and lung. Let’s just keep praying that she will surprise everybody and have a well-developed left lung! They estimate that she is about 3 pounds right now – which means she should be another big baby like Ro. We met with the neonatalogist and he was very nice. He told us exactly what to expect from the moment Finley is delivered. Once again, can I say how surreal this is? We had decided to use Rhonda Davis as our Doula again, and I know I am so going to need her especially in those hours after delivery when Finley and Jon will go into another room and I am left behind to worry and wait. Basically, as soon as the cord is cut Finley will be taken into the NICU where they will ventilate her and do all the things they need to do. Jon will go with them. I won’t see her until the doctors are all done with me and she is ready which sounds like it will be about 2 hours. We won’t get to hold her until after her surgery – but we will be able to lay a hand on her (as long as she tolerate that – sometimes with the pulmonary hypertension you have to leave them alone for while). Rowan will be able to go into the NICU and see her – we can have one visitor at a time with us in the NICU. I will be touring Emanuel soon and also will be getting a tour of the NICU from one of the NW Newborn Specialists Doctors. There is the planner part of me that is happy to have these things to hold onto and “prepare myself” but then there is also this other part of me that has a hard time really thinking about the birth and the sudden reality of all these weeks of worry finally coming to a critical mass. Part of me really would like her just to stay put. Really thinking about the day she is born and those days thereafter really starts to stress me out. The “one day at a time” adage is really all I can deal with. -Baring that, that Finley’s lungs develop as much as possible and that she has enough lung function to support breathing after birth (without ECMO). -No more complications before the birth and that I don’t deliver until 39/40 weeks. -That Finley stabilizes quickly and that they can do the surgery a few days after birth. – That Finley will be strong and survive (and thrive)! -For strength and peace for Jon and I.